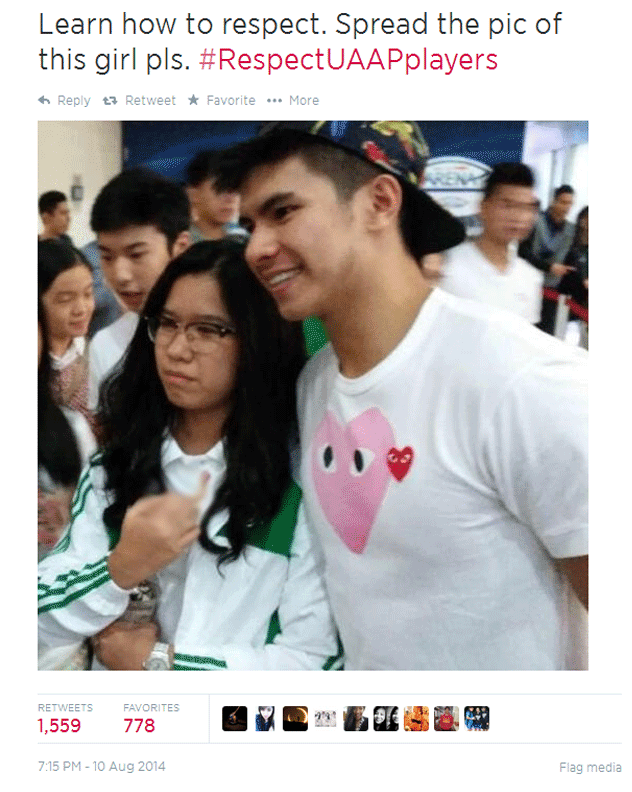 The said image, showing Kayla putting up her middle finger to Kiefer, caused rage and degrading criticisms including from Ravena’s rumored girlfriend, La Salle volleyball star, Mika Reyes on the girl. 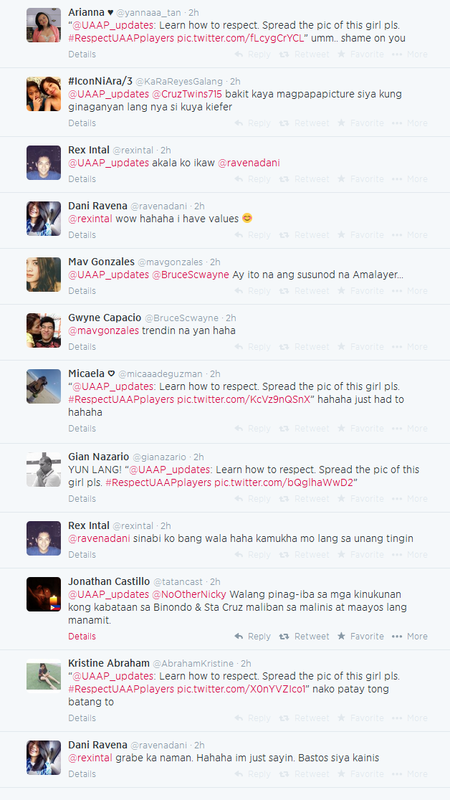 Some ADMU Blue Eagles fans described her as someone without respect towards the player. It brought even further disruptions since Kayla was wearing a varsity jacket of DLSU, a “rival” team. However, according to reports, the girl isn’t a student of De La Salle University but of Assumption College. Being shared multiple times over Facebook, a social networking site and Twitter; Kayla had no choice but to deactivate her Facebook and Twitter account to avoid more harassment over the internet. Some fans and netizens however, are still in search for her actual identity. The motives of the girl’s stunt are still unclear. Moreover, a lesson should be learned from this incident. One should be careful with the things he/she does especially if it is in public. Respect should also withstand, not just in games or to the players, but to everyone in general. This goes especially to those who carry the names of their Alma Matter, universities, colleges, institutes, etc. Bashing the person “at fault” doesn’t help either. Update: The Photo has been removed and Kayla Leviste apologized and admitted her mistake according to @UAAP_updates tweet. Kindly edit your article for grammatical errors. Thank you. Oo nga. Sakit sa ulo! To the management at Center Tech News, could someone please proofread your articles before they're released. The amount of grammatical atrocities present in the articles are too numerous to count, it's enough to make an English teacher cry. Hope you guys get better writers or proofreaders at least, because no one will take your posts seriously in its current state. "The girl did not came from DLSU...?" Thank you for your concern, We are now working on corrections. Thank you for your concern, We are now working on corrections. Update will be published asap.